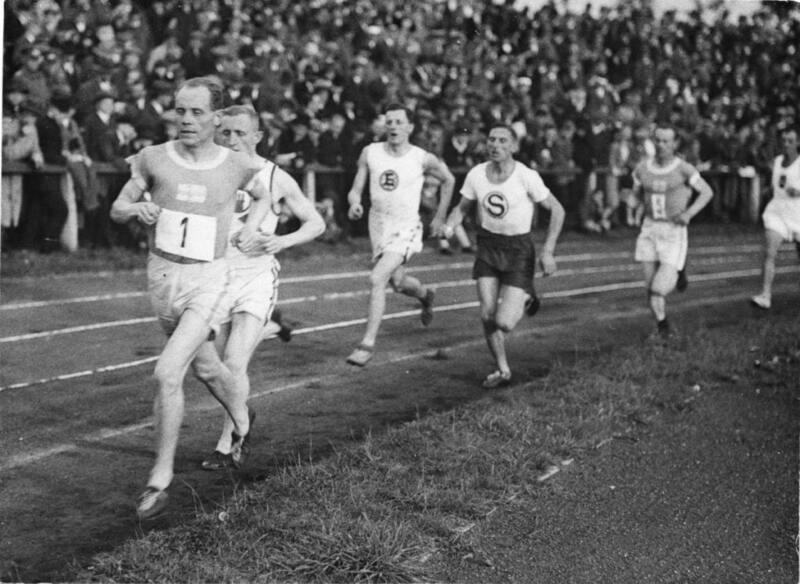 Paavo Nurmi is one of the most successful athletes in all Olympic history. Known as “The Flying Finn”, Nurmi won a total of nine gold medals at three Olympic Games between 1920 and 1928. He made 20 official world records in outdoor events and almost 30 unofficial ones in indoor races. Nurmi performed his most famous feats in the Olympic summer of 1924: he broke the world records in both 1500 and 5000 metres inside one hour in June and one month later won five gold medals at the Olympic Games in Paris. In the following winter Nurmi made a spectacular tour in North America, winning 51 of his 55 races. In 1932 Nurmi was preparing to crown his career with victory in the Olympic marathon, but just before the Los Angeles Games he was banned from international athletics due to breach of amateur rules. In 1952 he carried the torch to the Stadium at the opening ceremony of the Helsinki Olympic Games.